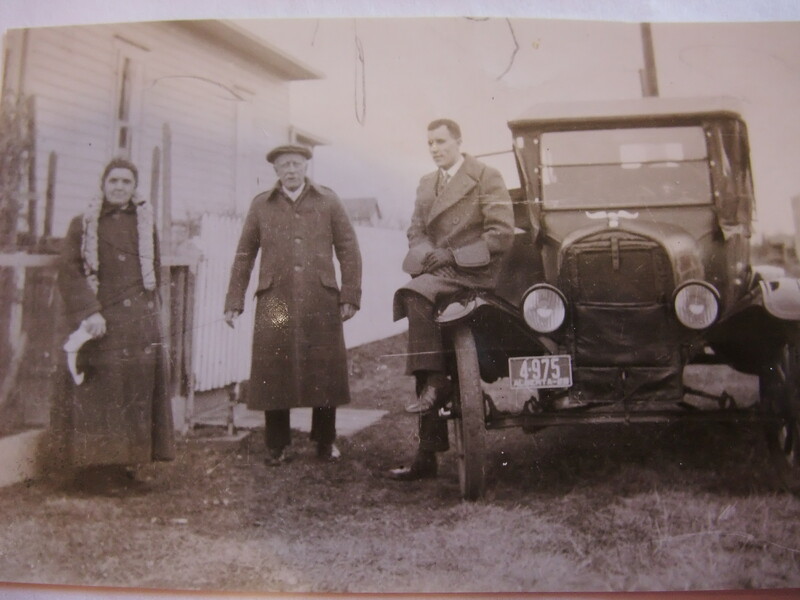 This July 4th will mark the 100th Anniversary of the arrival of my Perkins family in Canada….and believe it or not, my Grandmother, Sarah Jane Perkins, did not travel lightly….her Piano, Parlor Sofa and Chair, Grandfather Clock, pictures, china, Sideboard and China Cabinet, as well as family clothing and bedding in a number of steamer trunks, arrived with her. 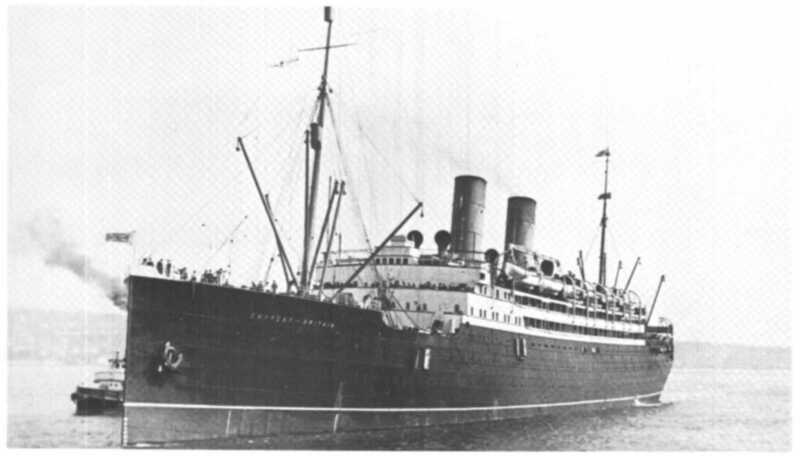 They sailed from Liverpool, England aboard the Empress of Britain on June 27, 1913 and arrived in Montreal on July 4, 1913. There they boarded a train for Edmonton, Alberta. The next phase of their journey likely took 7 or 8 days as they crossed the great country of Canada by CPR train. What circumstances existed in Britain that caused a 50 year old man to move his family, lock stock and barrel to a new country, I will never know. They certainly must not have been good, for him to make that decision at such a late stage in life. Perhaps he felt that it would be the only thing he could do for his son who was 9 at the time. His brother-in-law Jack Sleath, had moved his family to Canada in 1906 and was intending to homestead. Unfortunately only 2 years after his arrival, his wife Clara died of Tuberculosis, leaving him with 2 small girls to raise. This would not be done on a homestead and he stayed on in Red Deer. Correspondence, that came into my hands several years ago, that Jack had written to his wife’s brother back in England, gave an indication that the Perkins family might have been intending the same thing, but with changed circumstances they altered their plans and didn’t arrive until 7 years later. They bypassed Red Deer to settle in Edmonton. 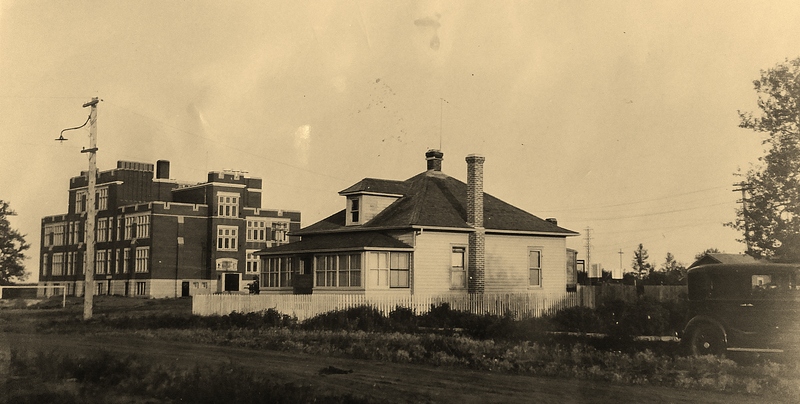 Edmonton in 1913 was a bustling place. The new Strathcona Library was opened as was Holy Trinity Anglican Church. Both were to play important roles in my life. My grandfather got a job at Ribchester’s as a Blacksmith. Later on he joined the Hudson Bay Store in their Hardware Department as a clerk. My dad started school at the newly opened Ritchie School. 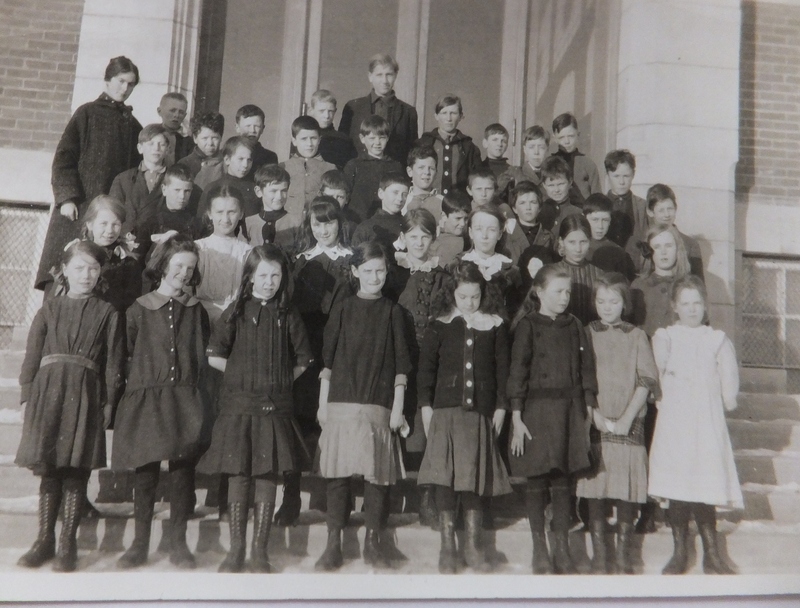 Tertius Perkins and his class at Ritchie School 1914. 100 years later, I still live in the house my grandfather purchased in 1920. When they first arrived they rented a house on 97 Street and 76 Avenue. After the war, they purchased the house across from the school from Emma Richardson. I doubt my grandfather knew how fortunate it was for him to have made this decision to emigrate and that many years later, his descendant would be so grateful to him for doing so. ← A Dragon Boat Caper in China! We’re grateful to him too! Don’t know….most of my Sleath family came from Staffordshire. The earliest is Benjamin Sleeth of Bloxwich.